A couple of years back, Atlanta band Jupiter Watts released the album Let it Lie, a rather good record that first introduced me to their slightly psychedelic Indie Rock sound. In the intervening time, the band has undergone several changes, most notably changing out their rhythm section and working out a new round of songs through live performances. This new material has finally been release on Jupiter Watts' self-titled album, out on Atlanta label Two Sheds Records and produced by David Barbe. The album begins with Felix, which musically focuses on nicely syncopated guitars and bass. Driven by the drums, vocalists James Trigg and Ramon Wals harmonize as the sound becomes less minimalistic and more effects driven. This contrast between the vocal-heavy verses and the louder, swirling choruses is tightly handled and gradually grows into a maelstrom of guitar effects and echoed voices. From there, the band moves on into Crown, which, like the first song, alternates between lower pitched but still minimal verses and louder, more intense choruses. And again like the previous song, the band switches back and forth between the two styles while still maintaining the integrity of the song's structure. The next song, Nothing At All, is one of my two favorite songs on The Jupiter Watts, even though it doesn't resemble the band's signature style at all. Nevertheless, this rather short tune is easily one the best pieces of jangly Indie pop I've ever heard. Beginning with quickly strummed rhythm guitar under a simple lead melody, drummer Kevin Wallace drives the backing beat towards a speedy but satisfying conclusion. Seriously, this is one song that everyone should be singing along with while they dance around the floor. From this happily upbeat moment, Jupiter Watts come back towards their more signature sound with Travel Without A Sound. With nicely understated keyboards courtesy of Jared Welsh, the melody plays off the vocals without overwhelming them. Together, it creates a vaguely wistful note which makes the song almost melancholy, and provides a nice intro into The Cloud. This slowish tune features some beautiful harmonies, courtesy of guest vocalists Susannah Barnes and Jessica Wals. Likewise, during the fuller musical interludes, the guitars begin to swirl around the keyboards and vocals until everything collapses back into the simplicity of its beginning. The record's halfway point is reached with Bikini Atoll, a gentle almost singer-songwriter-ish tune that builds into soundscape of guitar effects and keyboard drones. Musically, it's quite lovely as the song falls into the semi-psychedelic style that dominated the Jupiter Watts' previous album. The soft sway of Bikini Atoll gives way to the immediately loud and powerful We Got Contact. With hard-hitting drums underneath strong guitarwork, this driving melody ends up coming across like a normal "rock" tune, or at least more than anything else on the album. However, just when you think you have it all figured out, the song gives way to a lilting, jangly interlude that releases all the pent up energy from the earlier part. After more rock, courtesy of On the Water, the band comes to my other favorite song on the record, Hello. Like Bikini Atoll, the song begins simply with light guitarwork and drumming underneath the vocals of Ramon Wals. As it moves on through the melancholy harmonies of Wals and Trigg, a prominent violin adds in a mournful counter-melody. Then, halfway through, the band begins a musical interlude where all the varying instruments (including that violin and a banjo, I think) begin to interact exquisitely and dynamically against each other for nearly three minutes. This part is quite beautiful on its own and brings to mind the work of Scotland's My Latest Novel. To my mind, Hello could have been the perfect ending to this record. But when the hard, martial , and tom-heavy drumming leads off Hit The Ground, I'm completely brought back into the normal, effects-heavy sound of Jupiter Watts. Played in 6/8, this song has a natural sway that works well with the slightly spacey keyboards and bouncy basswork. Finally, the album ends with Our Lesson Learned, a very upbeat, energetic number featuring imploringly insistent vocals courtesy of James Trigg. It harkens back to the earliest numbers on the album, thereby bringing the music back full circle to show off the slightly psychedelic aspect of the Jupiter Watts which suits them so well. Taken as a whole, Jupiter Watts is an impressive record that musically demonstrates the song-writing talent of the band. While the bread and butter of the record is that echoy effected Indie Rock which characterize the Jupiter Watts' live shows, the album also contains other songs that highlight the band's ability to play with any number of styles. Of course, the hidden weapon of the record is the production work of David Bare, who manages to record all the varying elements of the band and bring them together in a clear, but unmistakable whole. Likewise, Barbe's production allows the sound to swirl and echo without ever becoming muddy or overdone. It's quite a production, and it really helps bring the Jupiter Watts' alternating melodies to the forefront. 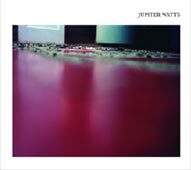 With the powerful songs, talented musicianship, and great production, Jupiter Watts takes the band's previous work as a starting point, but then branches out to new heights, which suites them and listeners well.